You are probably here because you want to keep your device safe or your friend/Family lost an IPhone or IOS device, misplaced it or even worse. The good news is that Apple is the most secure brand and they ensures that you can easily track your missing device, even if you can’t locate it you can easily wipe up your device in order to protect your privacy. In today’s post, I will fully teach you how you can locate/recover your IPhone, IPad, IPod or even MAC and secure your iOS device. You don’t have hope because you think the battery will be dead already or network connection won’t be available? Don’t worry this method will still locate your device. This is a traditional/normal security approach that smartphone users use, although it seems not to have a very high value among some smartphone users, its importance cannot be understated. Now enter your new passcode, tap next, re-enter your passcode to confirm it, and then tap Done. With Passcode featured enabled, you will see “Data protection is enabled” below the Passcode lock screen. In a situation whereby your iOS device got missing and you have no other choice than to wipe your iOS device i.e. situations like your device getting stolen, or device getting infected by malware or virus. So in order to prevent this, you need to backup your device regularly. With this, you can always sleep with your eyes closed without having to worry about something crazy happening. Real world attack is totally different from cybersecurity kind of attack. Physical security is also important as cybersecurity. We have bad guys all over the world, so always try your possible best to keep your device safe. Additionally, to protect your device from getting damaged, take some time to get a solid case that is shockproof and water-resistant. While iPhones/IOS devices are somewhat sturdy, they can't take too much of a beating, and you would be well advised protecting your investment. I won’t be writing much about “Find my IPhone” but if you don’t have it enabled on your device, enable it as soon as possible. Find my IPhone is probably the most important app to have on your IPhone, IPad Apple watch or Mac device, with Find my IPhone you will easily be able to track your ios device. 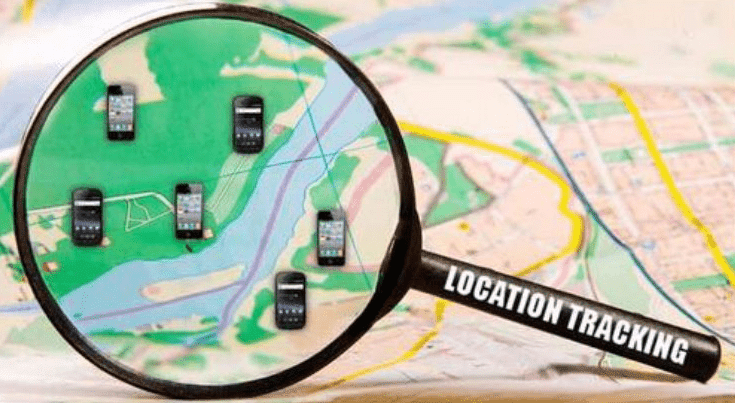 If you have Find my IPhone installed on your device already, by default your device will be connected to the internet and it will show the location of your device easily. So what you have to do now is visiting www.icloud.com... With any other iOS device of yours. Whether your device was taken away from you at gunpoint or you misplaced it or the pickpocket guys stole it from you, you have nothing to worry about because you can easily track it down thanks to the power of “Find my IPhone”. 2. Visit www.Icloud.com... on Mac or PC. 5. Now click on the icon to open Find my IPhone. 9. You will see a compass and the word locating on the screen of the device as the iPhone tracks the location of your devices. Look for the Lost Mode option and turn it on. With Lost Mode option you can easily lock your device remotely with a passcode, Display a prompt message with your Phone number, email address etc. on your device lock screen and keep track of it. Note: Whenever your device is in the lost mode, the credit card you inputted in Apple store won’t be able to make any sort of payment. You still can’t find your device? If you still can’t find your device after following the solution provided above, the next possible thing to do is wiping your IOS Device. You don’t know how to go about that? If yes follow the steps provided below. To prevent people or a third party from accessing the confidential files on your IPad, IPod, or IPhone device, the best thing to do is wiping your device. One good thing about wiping the device is that it can be done remotely. When you wipe your device things like credit card details for Apple will be cleared. Note: Only use the wipe option when it is necessary because you won’t be able to track your iOS device with “Find My IPhone” again after wiping it. If you remove the device from your account after you erase it, Activation Lock will be turned off. This allows another person to turn on and use your device. Is there still any hope if my device is off? If your IPhone, IPad or IPod is off when you misplaced it, you need not to panic because you can still put it in lost mode, lock it or remotely wipe it completely. But the action will only take place only when next your ios device is switched on or online.